Summertime is burger time, right?!? 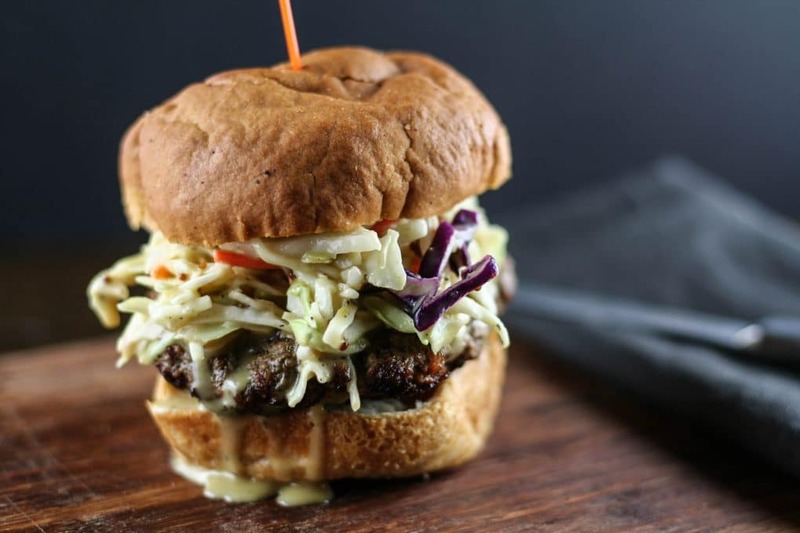 This spicy burger with honey mustard slaw is the perfect addition to your summer burger menu. Recently, I’ve learned to expand my burger taste buds and try out some unique flavor combinations. I used to stick with the boring combination of just cheese, maybe some pickles and then mustard. But then I branched out and realized what I was missing! As I’ve said a million times, I love a good sweet and spicy combination. 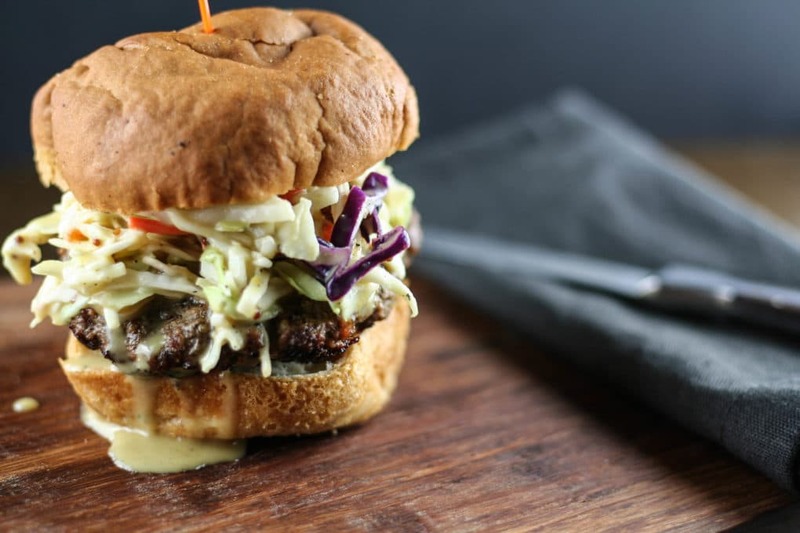 I decided to add some heat into the burger, and then add in some sweet with this homemade honey mustard slaw. The kids passed up the slaw but hey, they don’t know what they’re missing out on. 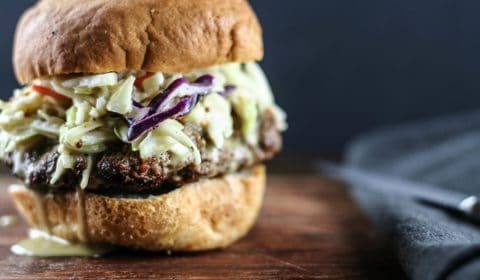 You can make your own homemade slaw by thinly slicing up red and green cabbage, or you can go the easy route and just buy a bag of already made cabbage slaw. Then add in your dressing and seasonings and you’ve got a homemade honey mustard slow without the high fructose corn syrup! Combine grass-fed hamburger with spices until well combined. For slaw, combine all ingredients until combined. Store in the refrigerator until ready to serve. 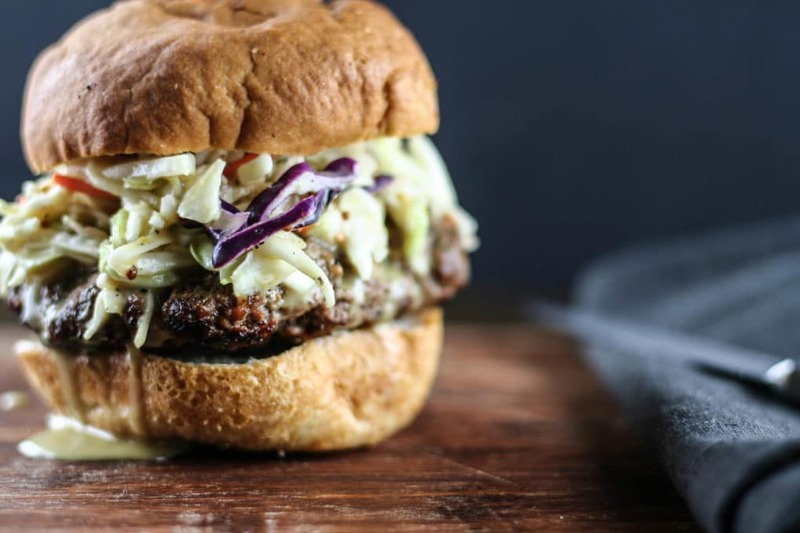 Grill burgers, then top with slaw and any other topping you’d like. Serve on gluten-free bun or skip the bun! I used Canyon Bakehouse gluten-free hamburger buns.